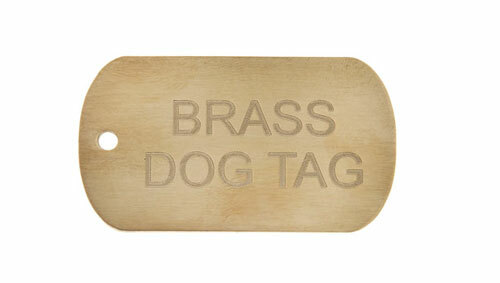 Brass Dog Tags from K9 Pet Tags, Engraved Identity tags Personalised. with FREE UK Delivery and Engraving. Brass Dog Id Tags for Pets. Suitable for medium and large size dogs, 30 mm wide x 50 mm long and 2 mm thick.